The Land Rover Discovery was originally released in 1989 as a lower-cost offering compared to the company's flagship Range Rover line. Originally manufactured with only a three-door option, the line was expanded to include the five-door Discovery in 1990. In 1994, the Discovery underwent some major changes. With changes to the engine, increased lighting on the exterior of the vehicle, and a more powerful gearbox for manual transmission versions, this newer Discovery was also the first version of the vehicle to be sold in the United States. The second generation of the Discovery was launched in 1998. This second generation Discovery was lengthened, which weakened the vehicle's off-road capabilities. However, significant cosmetic changes were made throughout the vehicle to improve the overall look and present a different style of Discovery for the second generation. In 2004, Land Rover launched the third generation of Discoveries. However, the Discovery name was dropped in America due to poor safety ratings and negative associations. Instead, the vehicle was sold as the LR3. The third generation Discovery included a full independent suspension, which allowed for options in altering the vehicle's height between off-road driving and whenever a driver was on a paved road. Gearboxes were also improved. Perhaps most importantly, though, were the variety of electronic stability control systems added to the vehicle. A fourth generation Discovery was released in 2009, keeping many of the same cosmetic features of the previous generation, but altering other features, like the engine. Additionally, many of the electronic stability control features that were so important for the third generation Discovery were updated and improved in the fourth generation models. While the Discovery has shown considerable technical improvements throughout its history, the vehicle remains notorious for a lack of meaningful rollover safety features. Even with a major complement of electronic stability systems, these vehicles are still often prone to rolling over in dangerous situations. One of the major problems with the Land Rover Discovery is the vehicle's relatively tall profile in comparison to its otherwise narrow base. As a result, the center of gravity on the vehicle is raised considerably. This means that any sharp turns or side impact accidents could cause the vehicle to be unbalanced, causing a rollover accident due to the momentum of the incident. These accidents are extremely hazardous and can cause severe injuries to those trapped inside. Even minor rollover accidents can result in broken bones and significant internal injuries. The National Highway Traffic Safety Administration's crash tests measure how a vehicle's safety features protect those inside at the time of an accident. In terms of avoiding an injury or avoiding an accident, these rankings can show a person’s chances of avoiding an injury in a Land Rover Discovery. While the first generation Discovery wasn't tested for rollover accidents, it did score poorly in overall crash tests. However, the Discovery Series II was tested for rollover safety. This vehicle severely underperformed, even in comparison to many other SUVs. Scoring only two out of five stars, the Discovery's rollover ratings were among some of the lowest of any SUV on the market in the United States. These particularly low scores illustrate the high risk that a person may sustain a rollover accident. 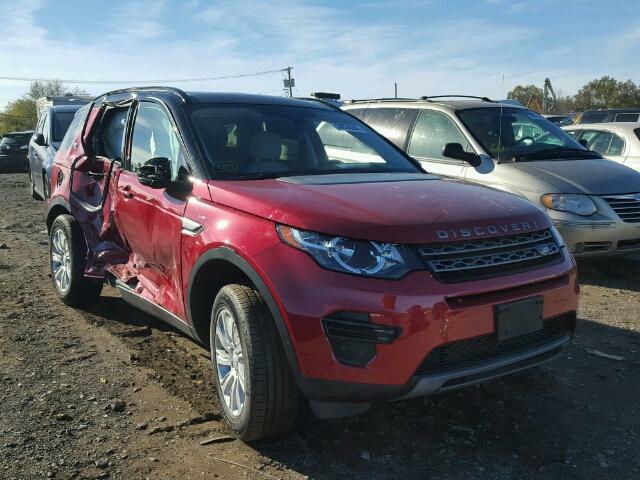 If you or someone you love has been injured because of a Land Rover Discovery rollover accident, we may be able to help with the process of filing for financial compensation. To learn more about your full range of legal options after an injury, contact the Willis Law Firm by calling 800-883-9858 today.